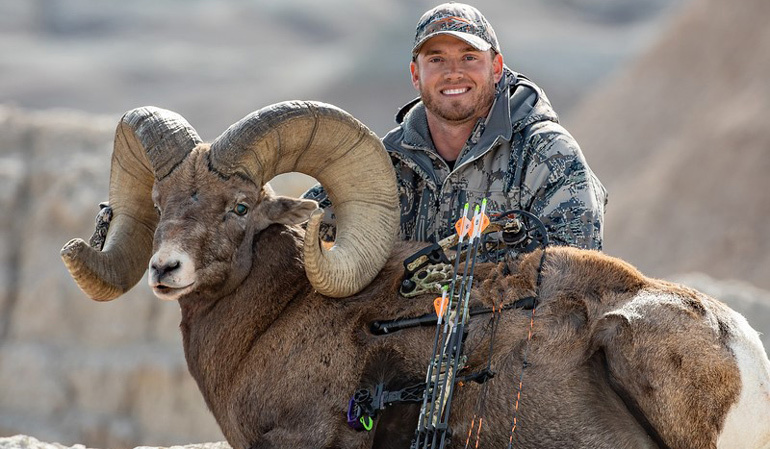 South Dakota bowhunter Clayton Miller (above) is all smiles after drawing and using a coveted Mount Rushmore State archery tag for bighorn sheep. Miller used the rare tag to harvest this new world record bighorn sheep ram that has a final net score of 209 1/8 inches. (Photo courtesy of Pope and Young Club). No matter how you look at it, the year 2018 was the year of the bowhunter. 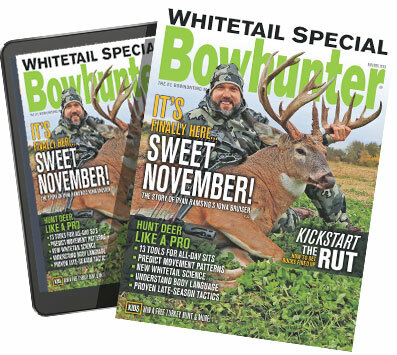 Only a few days after news was released about Virginia bowhunter Luke Brewster downing what appears to be the largest non-typical whitetail ever killed by a hunter, news comes that another bowhunter has also achieved a new hunting benchmark. That news comes courtesy of the Pope and Young Club, which announced this week that on Thursday, Jan. 24, 2019, a Special Panel of Judges convened in Sioux Falls, South Dakota to take a look at what could possibly be the largest hunter-killed bighorn sheep of all-time. Arrowed by South Dakota bowhunter Clayton Miller on Oct. 30, 2018, the ram’s massive dimensions were confirmed by the panel of judges, a group that included Ed Fanchin, Stan Rauch, Ricky Krueger and Justin Spring. After this group of P&Y and Boone and Crockett Club measurers had finished taping the Miller ram, it’s final net score of 209 1/8 inches was announced. In scoring that high, Miller’s massive South Dakota ram overtakes Todd Kirk’s previous Pope and Young Club world record bighorn sheep, a ram taken two decades ago in 1998 near Whitehorse River, Alberta. The long-standing record ram tagged by Kirk had a score of 199 5/8 inches. Last October’s ram taken by Miller also surpasses the top hunter harvested bighorn ram listed in the B&C records, a 208 3/8-inch ram taken in 2000 by hunter Guinn D. Crousen, a bighorn sheep tagged near Luscar Mountain, Alberta. While the Miller bighorn sheep is the largest ram ever taken by a hunter, it falls a few inches below the massive B&C world-record ram that was confirmed last year in a panel scoring session at the Bozeman, Montana-based Wild Sheep Foundation headquarters. That ram — a pick-up entry found dead of natural causes at Montana’s Wild Horse Island State Park — sported a score of 216 3/8 inches. For Miller, just getting a tag to even hunt a bighorn sheep was the dream of a lifetime. For it to be near his Mount Rushmore State home was even better. Miller knew there were some special rams in the Badlands region of South Dakota, but he didn’t know that there was one as big as any other ram ever seen in the long history of hunters like Teddy Roosevelt, Jack O’Connor, and others chasing these magnificent big game animals. According to Pope and Young, the Miller ram was entered into the club’s 31st Recording Period, the biennium that ran from Jan. 1, 2017 to Dec. 31, 2018. At the close of every biennial recording period like the one that ended a few weeks ago, P&Y says that numerical awards and honorable mentions are awarded to the most outstanding bow-harvested animals in each species category that have been entered during the two-year recording window. After that two-year window, Pope and Young indicates that new world's records are then verified by panel scoring and proclaimed by the Minnesota-based bowhunter’s organization. Awards like the Club’s highest honor, the Ishi Award, are also presented to outstanding animals during the P&Y Club's biennial convention and awards banquet. Incidentally, the Pope and Young Club’s upcoming banquet — where Miller’s ram will be on display and Brewster’s Illinois whitetail will reportedly be panel scored — will be held in Omaha, Neb. from April 10-13, 2019. While many think of the white-tailed deer when they consider the North American continent’s most iconic big game species, there’s a strong case to be made for a massive bighorn ram standing high up on a windswept ridge. "The Rocky Mountain Bighorn sheep is such an American icon,” noted Ed Fanchin, records chair for the Pope and Young Club. “To have the privilege to be part of a Special Panel of Judges to authenticate its final score was a special treat. “This ram exceeded the previous Pope and Young Club Rocky Mountain bighorn sheep world record by almost 10 inches, a record that stood for the last 20 years,” added Fanchin. “Congratulations to Clayton and the South Dakota Department of Game, Fish & Parks for practicing sound wildlife management. This ram will be on display at the Pope and Young Club Convention in Omaha, Nebraska in April 2019, it's a must-see." That it is, even for hunters who don’t hunt with a bow and arrow. Because according to panel measurer Justin Spring, the Miller ram is proof-positive that the conservation model in our country continues to work extremely well. 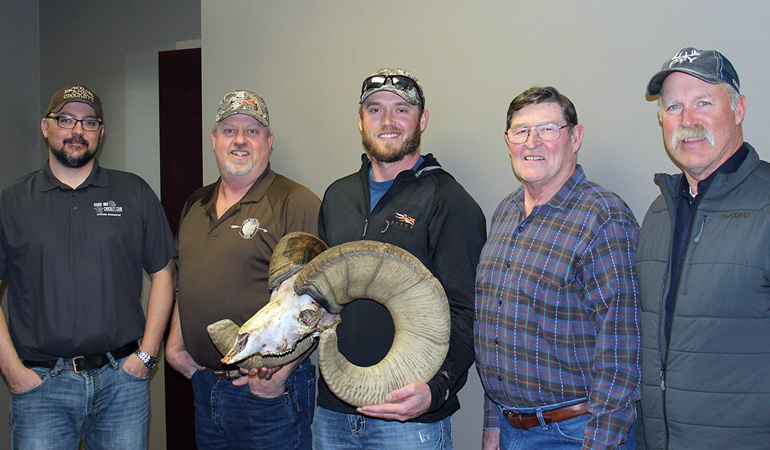 “Boone and Crockett (Club) would like to join Pope and Young in congratulating the hunter on his record-setting ram," said Spring, records director for the Montana-based B&C Club. "In addition, we also would like to thank all those involved (both state employees and volunteers) in the restoration efforts bringing a robust population of bighorn sheep back to South Dakota. “This is a true testament to the North American Model of Wildlife Conservation and a shining beacon of what can be accomplished with efforts and funds being dedicated to wildlife." Miller, who set the social media world on fire back in October as photos of his gigantic bighorn sheep ram began to circulate, couldn’t agree more. “What an honor and a privilege it was for me to be able to watch these incredible animals all year long a short road trip from my backyard!” he said. Proof positive that sometimes, when it comes to finding a world class hunting adventure, there’s simply no place like home. Just ask Clayton Miller — he’s the South Dakota bowhunter with a world-class grin right now.